Doorway to Self, LLC is built on the philosophy that we, as humans, are innately powerful as individuals before the collective. That we are each capable of tapping into that full power. And that doing so is necessary to a meaningful, healthy existence for all. Its foundation runs with the concept that we already know all of our own answers- we, as individuals, hold the keys to ourselves and to our potency. It is through our interactions with nature, with energy, with fellow humans, and with ourselves that the memories of those answers are made apparent to the conscious mind. 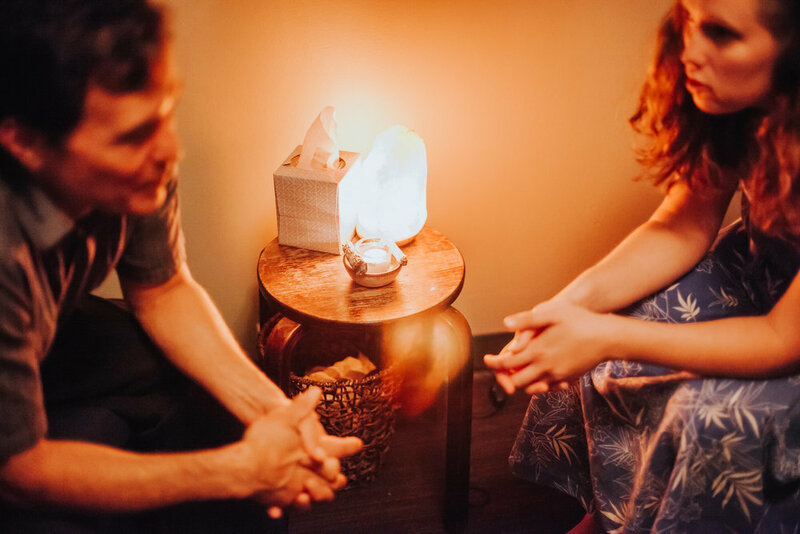 D2S was established in 2016 by Metaphysical Practitioner Rachel Leah Gerson, who had been diagnosed with Bipolar I Disorder in 2012, and then undiagnosed two years later after doing the work she now provides for others. Through the command of tools such as psychic diagnostics, talking, psychic training and exercises, tailored guided meditations, numerology, astrology, card reading, energy healing (a method called Twisting the Bone), counselling techniques*, and much more, Doorway to Self is here to provide a space for you to be able to truly recognise yourself, your power, and your purpose, as well as a safe container in the midst of which you can dig through your shadows, inner childhood wounding, and societal wounding, and step away with new perspective and tools to deepen self-love, self-compassion, and self-understanding. At D2S, you are in charge of yourself- there is merely another human in the room who is there to help hold a mirror up for you to see yourself in all of your glory. *Doorway to Self, LLC, is not a licensed counselling practice and does not intend to appear as such; its services are also not meant as a substitution for licensed mental health helping practises or for prescribed medications. I did not want to be born. My heart stopped in my mother’s womb, I was flipped upside-down (feet-first), and I came out 10 days late. As a child I was famous for my tantrums- a symptom that I now understand is due to having been extremely energetically sensitive. Every child is psychic, because every human is. It’s just that children seem to be more aware of the reality of it, and as most grow older they tend to try to make “logic” out of it and forget its truth. I never forgot. And I want to help others to remember. My childhood consisted of elaborate rituals that made use of beings channelled through stuffed animals, rocks and crystals collected on the shores of Lake Michigan and elsewhere, pinecones, and sneaking into the backyard at night to bathe in the moonlight. As I got older, candles and incense became regular staples, as well. No one had taught me any of this; I just knew- deep within- that it was what I needed to do to honour myself, honour nature, and honour the greater powers at play. When I was 15, I attended summer camp in Northern Michigan. It was there that I met a girl in my cabin who I spoke openly with about my rituals. She said that it reminded her a lot of a spiritual practise in a book that she had with her, and lent it to me. It was from that point that I understood that I was not alone- there were others out there who understood the reality of magic; who understood the presence of energy in our world- and my passions only skyrocketed from there. However, that passion also became a test of ego. Because I had cultivated my own practise throughout my life prior to reading what others had to say about it, I let the false idea that I was “wiser” and “more magical” get to my head. I thought that I was all-powerful and could control anyone I wanted to, which was simply untrue. I ended up practising some very dark, very harmful energy works, and hurt a lot of people psychically, emotionally, and mentally. It was one person, in particular, who I hurt badly enough that I was forced to wake up to the reality of myself; of who I had become. I like to compare my college-aged Self to a broken vase; I had to really do the work to sweep the pieces up, and then figure out if I even wanted to glue the same ones back together, or if I was better off moulding new pieces to glue into position. I was completely broken- my test of ego having gotten the best of me after I had placed myself in a situation where my victim returned the psychic attack and psychic abuse, and I got a scourging taste of my own medicine. It was from there that I said… you know what? Maybe this isn’t real. Maybe I’m just sick. So I went to a psychologist versed in testing and took the MMPI and the MDQ and was diagnosed with Bipolar Disorder I, Anxiety Disorder NOS, and the possibility of Borderline Personality Disorder. The psychologist decided to use a Cognitive-Behavioural approach with me, and had me pay close attention to my episodes: Was something triggering the ups? The downs? Was there a certain thing that happened when I was at the height of either? What was going on as I was returning to homeostasis? This work took months, but I was able to determine a common denominator: other people. Every time I was coming up on a manic episode, there were other people in my life who I was deeply energetically connected to- whether within physical proximity or not- who were experiencing big energies around them. And every time I was coming up on a depressed episode, there were other people in my life who were also having some really devastating things happening to them or, I was feeling deeply disconnected from myself because I was too interconnected with others. It was as these realisations started to make themselves known and prove their validity time and again that I began to question… did I really have Bipolar Disorder, or did I just have an extreme case of unbridled Clairempathy? After over two years of doing the intensive, hourly, psychic and energetic work to understand who I was energetically, separate myself out of others, and keep a check on my emotions- is this mine, or is this someone else’s- I went back to both the psychologist who had tested me and the psychologist who had given me a second opinion, and both of them declared that the diagnosis was no longer sustainable. They were both in awe that I had “cured” myself of Bipolar I. From there on out, my mission became twofold: 1) providing psychic education. Because if you’re human, you’re psychic. And you deserve to know how you work; 2) debunking the way that mental illness is diagnosed in our society. Perhaps it is not mental illness, but a psychic ability (or several) that are misunderstood and mishandled. Currently, I am dual-enrolled in a secular master’s programme at Western Michigan University for Clinical Mental Health Counselling, as well as a non-secular Ph.D. programme of Metaphysics at the Institute of Metaphysical Humanistic Sciences with a focus on Hypnotherapy. I completed my secular Bachelor’s degree from the University of Michigan’s Residential College with a double major in English and Creative Writing, as well as a semester abroad in the UK where I studied intensive psychic training with a mentor in Northern England. I also hold a non-secular Bachelor’s degree in Metaphysics from IMHS. I have also acquired various trainings and certificates from the age of 16, on, in energy work, card reading, numerology, astrology, crystal healing, and more. You grew up having visions. Or hearing voices. Or having dreams about things that were going to happen and then did. Or feeling your grandmother's pain. Or feeling your father's rage. Or just "knowing" things. And no one would listen. And everyone said it was just your imagination. Or the Devil. Or a coincidence. Well... I'm here to tell you that it is none of those things. Whatever you experienced is very real. You are psychic- and so is everyone who told you that you weren't. Because if you're human, you're psychic. The psychic world is very real, very misunderstood, and very under-explored. This is an invitation for you to be able to enter it in a way that is safe and held. I understand that this can be a scary or traumatic experience. It is also unquestionably beautiful, sacred, and nested in the essence of You. You want to find yourself? You have the key. And you know what your door looks like. I'm here to hold your hand while you do the searching, to guide you down the unlit walkways, and to help you up the stairs while you turn the key, twist the knob, and fall endlessly in love with all that is you; all that is your purpose; all that is unexplainably your magic. After delving into the depths of my own shadows after years of self-loathing, psychic abuse, and a complete misunderstanding of my own abilities, I emerged in a place of deep self love and a grounded, balanced, and understood psychic practise. I am inspired to help people who do not understand their psychic selves, who have trouble connecting to their higher selves, who have undergone psychic abuse, and who have trouble loving themselves in their earthbound skin. It is through Doorway to Self that I am able to offer Psychic Training, Psychic Education through Workshops and Retreats, and Metaphysical Inner Guidance Sessions: the rough outline of a life coaching or counselling-like format infused with metaphysics. 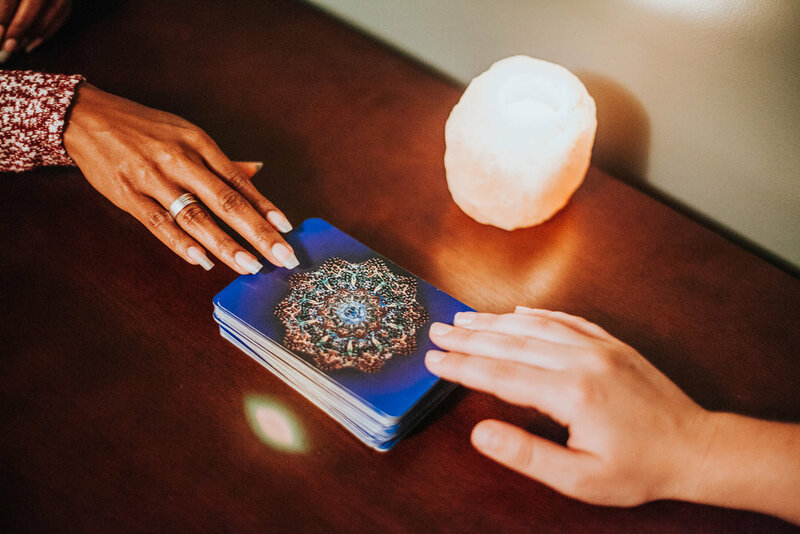 In other words, amidst the talking, listening, and processing, tools like card readings, numerology, astrology, energy healing, “diagnosis” of psychic abilities, and more are used to help you to bring answers to light in a different way and connect to the best version of yourself.